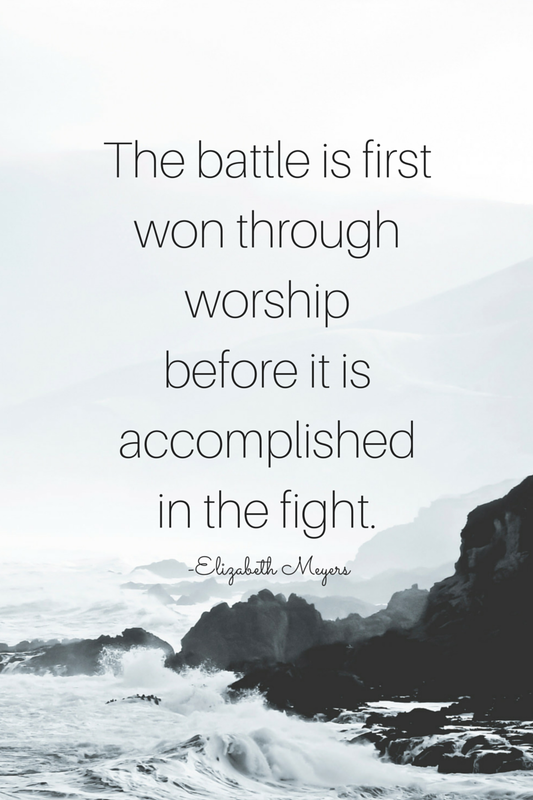 This Friday I am sharing a link to another amazing writer, Elizabeth Meyers of Blessed Beyond the Mess, who has so beautifully captured what it means to worship in the battles and storms of life. Her post is especially relevant for me in this journey of speaking praise as I have personally been discovering the power of worship to prepare and soften my heart for God’s will and remain steadfast through trials. It is no wonder God commands his people over and over again to praise him! Worship should happen in our everyday moments, which I will be exploring later in the series. On my smart phone, I have MP3s of my favorite praise and worship songs so they are at my disposal when I need to arm myself with a godly perspective. I play music while I’m cooking in the kitchen or cleaning the house, play praise music in the car, and in our child’s room at night. 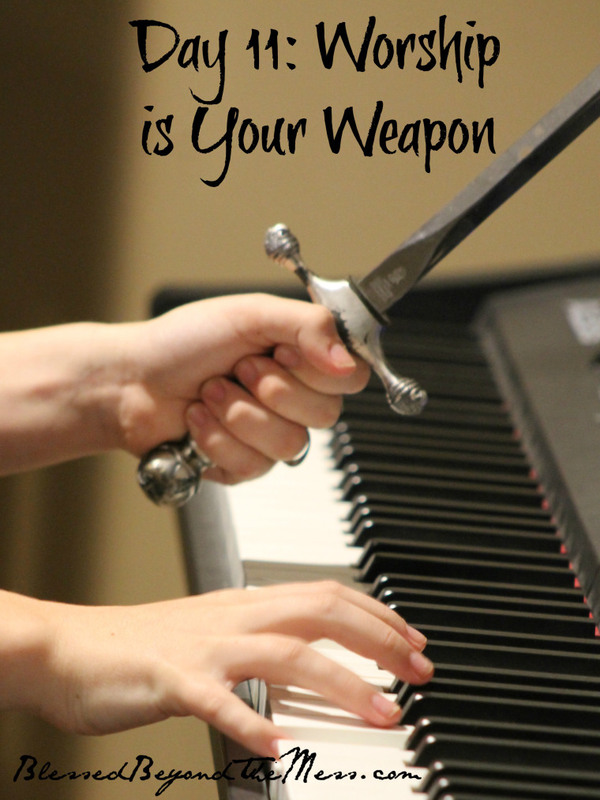 Music is so powerful, and when it is given the purpose of glorifying God? Strongholds can be demolished and every pretension that sets itself up against the knowledge of Christ is held captive (2 Cor 10:5). I can’t think of a more powerful tool than worship to begin with and to accomplish victory in the battle.